The lives of refugees whose situation is becoming increasingly tormented depends on your good will and decisive influence. Born 5 April 1883, Graduated in Economics and Finance, legation aide on 24 December 1901; with the Directorate General of Commercial and Consular Affairs, 17 February 1902; consular chancellor within the same Directorate, 17 October 1904; appointed, following competition, consul (2nd class) and placed in the Rio Grande do Sui Consulate on 19 May 1910; consul in Porto Alegre, 10 March 1911; consul in Bahia, 25 May 1912; interim administrator of the Consulate General in Rio de Janeiro, 19 June 1913; consul in São Paulo, 4 July of the same year; consul (1st class), 30 June 1918; consul general in Rio de Janeiro, 15 November 1921; consul general in Paris, 13 December 1930; minister plenipotentiary (2nd class) and consular inspector, 25 July 1933; extraordinary envoy and minister plenipotentiary to Stockholm, 7 February 1933 (did not present credentials); extraordinary envoy and minister plenipotentiary to Buenos Aires, 28 March 1935: extraordinary envoy and minister plenipotentiary to Budapest, 27 July 1939; extraordinary envoy and minister plenipotentiary to Stockholm, 5 December 1945. Grand Officer of the Military Order of Christ, 5 October 1934; Officer of the Military Order of S. Tiago da Espada, 27 October 1934; Knight of the Orders of Isabel the Catholic of Spain, Gustav Wasa of Sweden and Crown of Prussia. 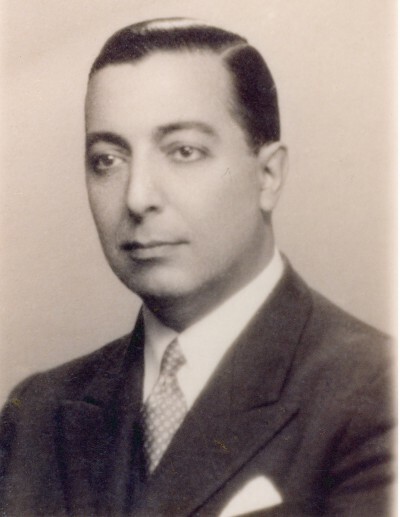 Born 27 January 1902 in Viseu; graduated in Economics and Finance, Universidade Técnica de Lisboa; admitted to the diplomatic and consular service on 28 February 1930; legation third secretary at the Secretariat of State, 14 March of the same year; second secretary at the Rio de Janeiro Embassy, 24 November 1933; in Lisbon, 14 June 1936; Beijing Legation, 12 April 1937; Shanghai Legation, 12 November 1937; interim charge d’affaires from 7 February to 13 October 1938; in Lisbon, 26 April 1942; passed the examinations for legation first secretary on 8 April 1943; at the Budapest Legation, 25 April 1944; interim charge d’affaires from 5 June to 29 October 1944; recalled to Lisbon on 30 October; secretary in the diplomatic section of the International Commission on Boundaries between Portugal and Spain, 31 March 1945; at the Embassy in Washington, 19 October 1945; interim charge d’affaires at the Caracas Legation, 17 October 1946; in Lisbon, 15 September 1949; councilor, 13 May 1950; at the Jakarta Legation as charge d’affaires on the same date; Consulate General in Madrid, 7 September 1951; legation councilor at the Paris Embassy, 25 January 1955; minister plenipotentiary, 2nd class, 25 January 1956; extraordinary envoy and minister plenipotentiary to Caracas, 14 February 1956; extraordinary envoy and minister plenipotentiary to the Dominican Republic, resident in Caracas, 12 September 1957; at the Ankara Embassy with Ambassador’s credentials, 3 January 1960; extraordinary envoy and minister plenipotentiary to Baghdad, resident in Ankara, 9 July 1960; minister plenipotentiary, 1st class, 16 August 1961; extraordinary envoy and minister plenipotentiary to Teheran, resident in Ankara, 9 October 1961; at the Hague Embassy, with Ambassador’s credentials, 23 July 1964; retired, 31 December 1966. Officer of the Military Order of Christ; Cross of benefaction of the Portuguese Red Cross, Grand Cross of the Order of Orange-Nassau, the Netherlands; Grand Official of the Order of Isabel the Catholic, Spain, Grand Officer of Civil Merit, Spain Commander of the Order of the Southern Cross, Brazil; Commander of the Order of Liberator, Venezuela. 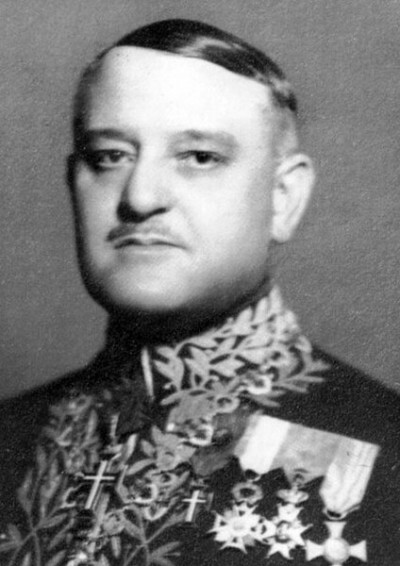 Photography of Sampaio Garrido with the Minister uniform. n.d. Photography of Teixeira Branquinho [1940s].